Former Washington State University (WSU) faculty member Richard Okita, Ph.D., was recently honored in the naming of the Richard Okita Early Career Award in Drug Metabolism and Disposition. The American Society for Pharmacology and Experimental Therapeutics (ASPET) celebrated the naming of its early career award on Tuesday April 9, 2019. The event took place as part of the 2019 ASPET Annual Meeting at the Experimental Biology conference in Orlando, Florida. PULLMAN, Wash.—Most, if not all, infections and diseases in animals and people are met with some level of the body’s own inflammatory response. Sometimes this inflammatory response crosses a line from being protective and useful to becoming debilitative or even deadly. Scientists in Washington State University’s College of Veterinary Medicine and College of Pharmacy and Pharmaceuticals Sciences (CPPS) have discovered an important step in the progression of the body’s inflammatory response that may soon lead to effective management and treatments. The team’s paper was published Monday in the prestigious journal, Nature Communications. Recently student pharmacist Brandy Seignemartin had the opportunity to participate in the annual National Association of Chain Drug Stores (NACDS) RxImpact Day in Washington D.C. RxImpact Day allows student pharmacists and other pharmacy advocates from across the nation to share critical patient access issues with legislators. 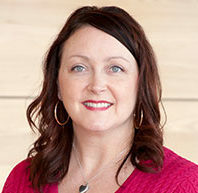 Merrie Kay Alzola, class of 1993, senior account executive, Novo Nordisk, will be the keynote speaker at the commencement ceremony of the Washington State University (WSU) College of Pharmacy and Pharmaceutical Sciences (CPPS) on Thursday, May 2. “Merrie Kay’s devotion to the profession of pharmacy is phenomenal. She is committed to identifying opportunities for student pharmacists to network and build relationships with alumni and other thought leaders. 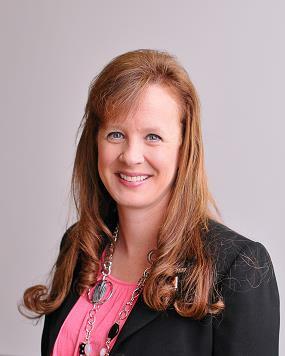 A shining example of how Cougar pharmacists give back to the college, I am excited to have her speak at commencement.” said Linda Garrelts MacLean, vice dean for the college. The American Pharmacists Association (APhA) announced that WSU’s Julie Akers will receive one of its profession-wide awards at the annual meeting later this month. Akers, a clinical assistant professor at the WSU College of Pharmacy and Pharmaceutical Sciences (CPPS), was selected for the APhA’s 2019 Good Government Pharmacist-of-the-Year Award. She was nominated by WSU faculty colleague Jennifer Robinson for her contributions to the pharmacy community through her involvement in the political process. On January 30 Michael Glockling, class of 1981, spoke with Washington State University (WSU) student pharmacists about home and ambulatory infusion therapy as part of the Preparing for Your Career in Pharmacy Seminar Series. Glockling currently works with special projects for the Providence Infusion and Pharmacy Services and serves as a Pharmacist Surveyor for the Joint Commission. Infusion therapy is when a patient receives their medications directly into a vein through either a needle or catheter. Originally, infusion therapy was conducted exclusively in a hospital setting. As time passed, developments such as smaller infusion pumps made home and ambulatory infusion therapy a possibility. SPOKANE, Wash. — Yadira Xitlalli Pérez-Páramo, a graduate student in the Pharmaceutical Sciences Graduate Program at Washington State University (WSU) in Spokane, was selected for the 2019 Graduate Student Woman of Distinction award. She received the award at a ceremony in Pullman on March 4, 2019, along with five other women recognized by the university. The WSU Women of Distinction and Woman of the Year Awards are presented annually during National Women’s History Month to recognize the achievements and contributions of women to the academic and local community, and to our society. Coug Day at the Capitol took on special significance for students from WSU Health Sciences this year. Two student‑government leaders from Spokane, part of a delegation of about 100 WSU students from across the state who visited Olympia as part of Coug Day at the Capitol, took the first step in potentially changing state law by dropping a proposal they helped develop into “The Hopper” in the Office of the Code Reviser. SPOKANE, Wash.—The Washington State University (WSU) College of Pharmacy and Pharmaceutical Sciences (CPPS) is dedicated to developing outstanding health care professionals and scientists through a transformative student experience. This means the college also takes care to ensure faculty supporting its research and teaching offerings are “second to none,” that is, according to Gary Pollack, dean of the CPPS. Scientists at Washington State University are leading a new study that will take them one step closer to making treatment options available to patients with a rare inherited disease. Researchers Jean-Baptiste Roullet and Mike Gibson of the WSU College of Pharmacy and Pharmaceutical Sciences are conducting a natural history study of patients with succinic semialdehyde dehydrogenase deficiency (SSADHD).